It is a instrument of the small domestic CNC system for combination logging . It could be used directly in 3700 systems ,521 systems , domestic system such as xinxiang 3000 system . The waveform is stability when logging , interference is small ,logging-curve expectation is high. 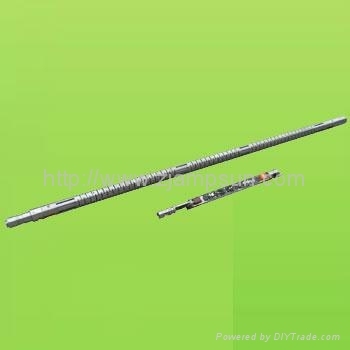 △T in the steel casing measuring 57 is ±1μs/ft;.